We are going to tread very carefully through this, my friends. Because this is a sensitive topic that many major news organizations have proven to only know pieces about, and the most definitive stuff comes from Robert Mueller’s court filings. 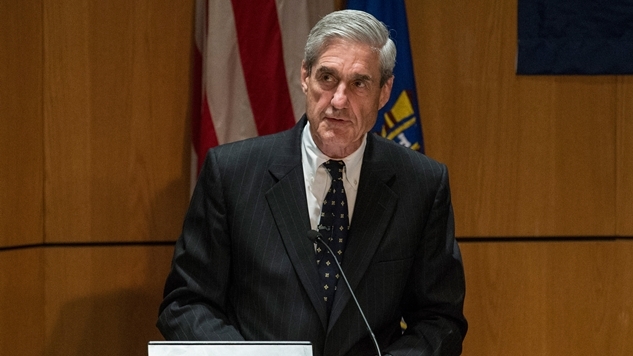 The Associated Press did a great job laying out these public documents earlier this month to tell the story of “The Mueller Report” hidden in plain view. Now, if you go to Amazon and search “Mueller Report,” three books pop up top. One has a foreword by disgraced Trump apologist/Martha’s Vinyard loner, Alan Dershowitz, so you can probably guess what kind of bias that will have. The second is a satirical book written last year by the hilarious Jason O. Gilbert, and the third…it’s authored by The Washington Post. Nearly two weeks ago, we were told by CNN, WaPo and NBC that “the Mueller Report” was imminent (in December, NBC was actually the first to indicate that Mueller may be wrapping up around late February). Reporting quickly pushed back on the short timeframe, but not the overall narrative that Mueller was reaching something of a conclusion. This upcoming “report” is not a final report because we still have most of the legal process to play out, plus any tangential investigations that may arise from Stone’s terabytes of information (or any other information that comes to light in the near-future, like out of, say, Trump Organization CFO Allen Weisselberg). We literally do not have enough information for a “final report,” so what* is this “Mueller Report” that The Washington Post and Scribner are selling? *I reached out to WaPo about this very question and will update the piece if I hear back. So let’s assume that reporting from ten days ago is correct and that this “confidential” report from Mueller was imminent, and let’s assume that The Washington Post knows that a public Mueller report will be available by March 26th, hence the existence of the book. Given the gargantuan task of redacting classified information, to reach a publish date of three weeks from now means that Mueller’s concluding report surely has to have already been submitted to Rod Rosenstein, which squares up with reports of what we know about the apparent final stages of the Mueller investigation. The way this is actually supposed to work is not by giving The Washington Post and Scribner money through Amazon. The reason why a “confidential” report is submitted first is so those with clearance can prepare a report to submit to Congress, who then reports their findings to the American people (and conducts follow-up investigations that fall under their legal mandate of providing a check on the executive branch). Again, what “report” is The Washington Post and Scribner selling? Regardless of whatever confusion is presently going on with the Mueller investigation, DOJ laws are crystal clear: we will eventually find out about the Mueller report in some way, shape or form—for free—because that’s how this whole constitution thing is supposed to work. If it’s coming later this month, then that means we are about to enter a new phase of this ordeal, and headlines will soon transition from the Mueller Investigation to the Mueller Report. This article has been updated, as it wrongly said Scribd was partnering with WaPo, when it is Scribner joining them in this venture. We regret the error.